While radiators used to simply be a household necessity, this is no longer the case in 2018. Now, there are hundreds of different styles, sizes and colours for you to choose from and designer radiators are definitely becoming more and more popular as each year goes by. Here, we are taking you through our quick guide as to what you need to know before you buy a new radiator. The first thing you need to do is check and see exactly what is available so you can choose the perfect radiator for your needs. The next thing everyone must do is ensure that they get their measuring tape out and take a note of what size of radiator they will be needing. Finally, there are now lots of extras that you buy to transform your radiator into one that you love. Single or Double Panel Radiators? A single panel radiator is your standard radiator. These are normally quite slim and can easily fit close against the wall compared to double panel radiators. With a double panel radiator, there will be two single panels that are stacked next to each other. As this is a double, it should produce nearly double the amount of heat than a single. Another type of radiator that you will need to consider before you rush out and buy one is whether you are going to get a horizontal or a vertical one. With a horizontal radiator, these are typically more traditional while the vertical is quite modern. 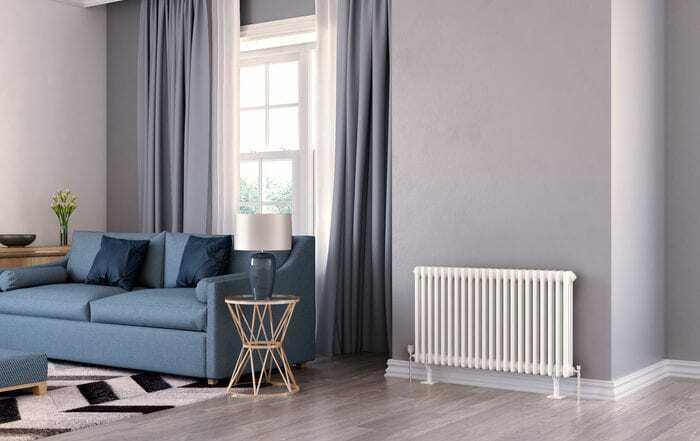 When buying a radiator, horizontal versions are usually seen as being the safe option when it comes to design and they also are not normally as expensive. Vertical radiators do have their positives though which includes freeing up a lot of space and they can look more decorative in a room compared to buying a radiator that is horizontal. Sometimes when people buy a radiator, they can make the mistake of thinking that, well, the bigger the better, and this really is not always the case. This is where you need to take into consideration the BTU output and both the size of the radiator and its material will affect this. Work out the BTU output that you will need for your room and then purchase a radiator based on this information. This will give you a good indication of the size of radiator that you will need. Stelrad have a basic and advanced heat loss calculator which you can use.